Training your dog to sit is a very valuable and easy dog obedience command to teach and learn, and is the most frequently used in our day to day lives. The sit command can be used as a stand alone command or as part of a combination with more advanced dog training commands, it can even be used as a replacement or redirection for some unwanted behaviors. Later on in your dog obedience training, you will learn and apply more demanding steps like training your dog to sit then stay, and a sit-then-down combination, etc. 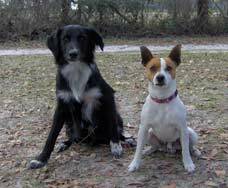 You will also learn how to use the sit command in more complex dog behavior modification steps. 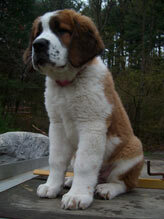 The sit command is the most used command in dog obedience training, and you will end up using it almost everywhere. If you are going out with your dog, it is common to use the sit command while putting on the dog’s collar and while preparing yourself. Or when a guest arrives or you are opening the door to let someone in, it is common to command your dog to sit during this time. Training your dog to sit beside you before crossing the road, is an example of how this command can help with the safety of your pet. Training your dog to sit before serving his food dish to him is also an important strategy.The good news is that this is the easiest command of all, in dog obedience training. Let’s start with the most common mistake that most dog owners do right from the beginning. They approach their dog, look at his eyes and say “sit”. At that moment their dog looks at them like they have something weird growing out of their mouths. People often forget the simplest things, like the fact that the dog does not speak English or any other world language. In fact, you don’t start using the verbal cue until later on. As many dog trainers will attest, the rule of thumb is to wait until you have achieved the desired reaction before labeling it with an action word. There is no reason for us to jump straight to using words. When training your dog to sit, he will first learn a hand signal or your body language and once you are satisfied with his performance you will simply add the word “sit” to the command. This way we are making it simpler, clearer and more understandable to the dog. I explain more about this world-recognized training technique in the marker training section. So let’s start training your dog to sit. Just like with any step in dog obedience training, the first step is always to build focus and active participation, as explained on the building focus page. Once we interact and play to the point that we have the puppy’s full attention, we can then start training. From here there are a few different methods that you can use when training your dog to sit on command. I will walk you through three of the most common options. This is an easy one…just remember the golden rule; whatever your dog’s nose does, his behind will do the opposite. Take a treat in your hand, present it to your dog, so that he knows it’s there, and then raise your hand straight up in the air in front of his nose. TIP: Do not move your hand towards you while moving up, as this will only encourage your dog to chase the prey. Avoid moving your hand above the dog’s head, as this will force him to sit too far back on his haunches. This is not a very comfortable position for him and if you are later planning to perform in dog sports or competitions, this is the wrong position for your dog to sit in and it will be more difficult for your dog to perform fast flawless actions. The perfect position is for your dog to be straight in front of you while you raise your hand straight up. This is easy to accomplish, lure your dog towards you with the treat and then raise your hand in front of his nose. He will sit. Once you are satisfied with your dog’s performance you then add the verbal cue “sit”. Later you can stop using body language and just use verbal cue, this way your dog will know both of them. TIP: To add a verbal cue like “sit”, you will first get your dog’s attention, say the word “sit” and then raise your hand in front of him like usual. It is very important to leave a half-second delay between the vocal command and your hand signal. If you are starting to move your hand (even the slightest movement) at the same time as you are saying “sit” your dog’s focus is already on your hand, not on your verbal cue and this will delay the training process. This is the main reason why many dogs seem to not understand verbal commands; they simply didn’t learn them properly. To learn more about the proper way of training and how to properly reward your dog, you can visit the marker training and how to properly reward a dog pages. The second way of training your dog to sit is known as an old school technique. It is a mechanical way of teaching your dog to sit. The difference from the previous example is that with this technique, we don’t use treats or lure the dog into the position; rather we use a physical approach. We sit our dog on our left side and pass the leash to our right hand. Then while slightly pulling the leash up, we apply a slight pressure on his lower back/hips with our left hand sending our dog into a sitting position. The difference between the first way and this one is that here you can add the verbal cue right away, as the dog interprets this approach differently than the first one. TIP: Just like with the previous technique, you have to separate the verbal cue from the physical action. First say the word “sit” and then proceed with the physical motion. If you are moving your body too fast, your dog will simply anticipate your body movement and perform the action. To see if your dog has properly learned the command, place your dog to your left side, facing forward, and say “sit” then wait for 2 seconds or so to see your dog’s reaction. If nothing happens then but when you start turning towards your dog that’s when he sits, then that’s it, your dog has already learned to anticipate your movement and still doesn’t understand the actual command. This is easy to correct. Just go back to step one and separate the verbal cue from any physical movement for a fraction of a second longer this time. Another training option is called the ‘free shaping’ style. Free Shaping techniques are based on the concept that you allow your dog to “think” and offer behaviors to you, then reward him for that. You simply reward all of the steps that your dog performs leading to your desired outcome. Once he reaches the final step, in this case, sitting, you will give him an extra reward, most often in the form of a jackpot reward, to make it clear to the dog that he hit the goal. To teach your dog through the free shaping style you will first have to be familiar with clicker/ marker training. Free shaping is all about timing and appropriate rewarding. In this case, you will wait for your dog to offer you the sitting position, and once he sits you will appropriately mark it, later you will add the verbal cue “sit” before it. A benefit of free shaping is that it creates a strong behavior association for your dog. On the other hand, however, it can take a long time for your dog to reach some of the steps and it is even more demanding if you are working on a complicated task. Not to mention that there is always the chance that your dog can get stuck at a certain step leading to the goal thinking that he has already reached the final step. TIP: Although free shaping is a great technique, some dog owners may get easily frustrated, or they may miss the end result by rewarding their dog and marking a behavior at the wrong time. As per research results, it was discovered that it may take 30-60 or more repetitions before a dog understands and properly learns the verbal command, so don’t be disappointed or surprised if your puppy acts like he doesn’t understand you right away or even the day after you start training your dog to sit. 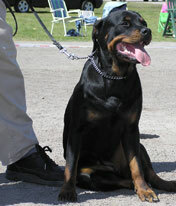 Patience, time, and effort are a must in dog obedience training.